Oh dear! I've been so busy on my next book recently that I've not been whacking as much stuff up here for youse to see. 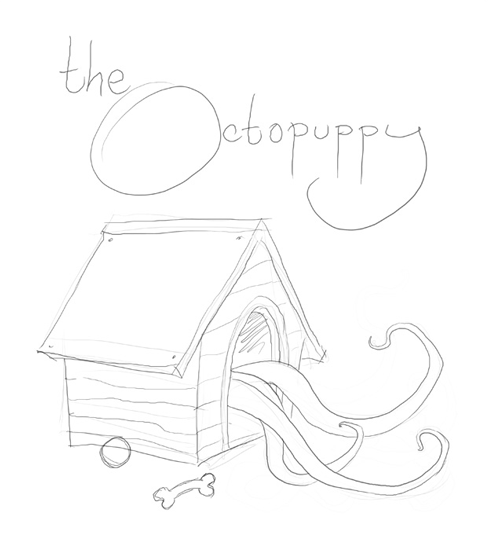 There's still loads of Octopuppy making-of things to shake out of the Octopuppy shoebox and share with you. 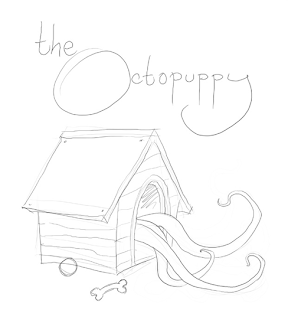 A quick one to keep you going for now, here's another attempt I made at that kennel idea for the cover of the book. A few posts ago I showed you (Hey! Yes YOU. If you can tear your gaze away from that ornamental cabbage for a minute) a deeply unsuccessful cover rough from early on which featured a symbolic kennel for Jarvis. 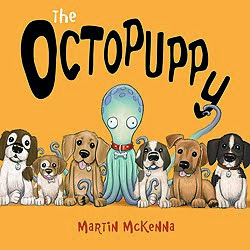 He doesn't have a kennel in the story, but I liked the image of tentacles poking incongruously out of a dog house, you see. I tried a simpler idea with the kennel viewed from the side so we glimpse even less of Jarvis to keep him more mysterious. 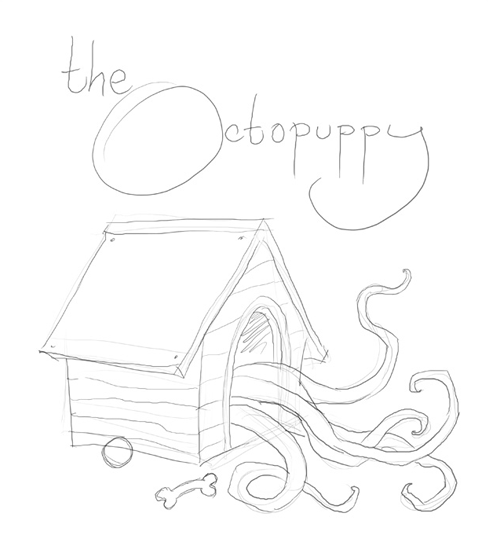 This quick doodle has fewer tentacles than the earlier one below. 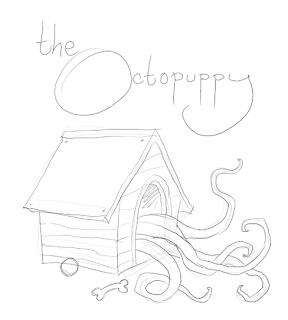 Either way the idea didn't seem to work and if anything might be a bit too eldritch. 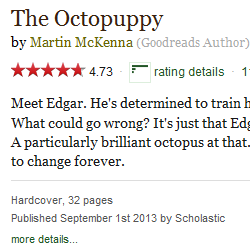 TELL US MORE ABOUT THIS NEW BOOK MARTIN.